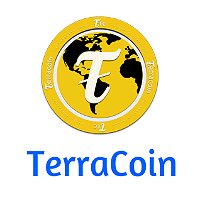 Terracoin (TRC) is another Bitcoin-inspired peer-to-peer decentralized currency. This cryptocurrency has no central authority. Rather, a ‘peer-to-peer’ network regulates its balances, transactions and issuance based on a consensus in network software. It has been established that there will be a scheduled and limited release of 42 million Terracoins. Terracoin has a block time of only two minutes reducing the confirmation time down to 12 minutes. It has a ‘Miner Resonance Resistance’, which allows Terracoins to have a fast difficulty adjustment time. The difficulty adjusts every 60 minutes as opposed to Bitcoins that reached even up to several days. It uses the SHA-256 hashing algorithm, which made mining requirement ‘simpler’ in contrast to mining bitcoins that necessitate specialized mining hardwares that are expensive and consumes much energy. Terracoin is one of the youngest alternative cryptocurrencies online. Given this, it is still on the processes of getting into online platforms like online gambling. Most probably, you have rarely heard of Terracoin (TRC) gambling, but it does exist. Recently, there are no gambling sites that are exclusively powered by TRC; however, there are betting portals that accepts Terracoin as mode of payment along with Bitcoin, Litecoin, and other cryptocurrencies. If you are interested to take a step forward with Terracoin (TRC) gambling, there’s nothing to worry about. Majority of the steps and processes are just similar to Bitcoin gambling. Of course, first thing you have to get is a Terracoin wallet because this is where you will keep your coins and it will allow you to send and receive payments. You can get TRCs in trading markets, which are exchanged with other cryptocurrencies specifically Bitcoin and Litecoin. Terracoin mining is also an option though it requires effort, time, and commitment. It is given that there are only few sites that offer Terracoin (TRC) gambling; however, it is still important to consider that choosing the best gambling platform is a must. Of course, you would want to settle for something less. Funding your player’s account is easy. You just have to send some TRCs to the wallet address provided and wait for a specific number of network confirmations for it to be credited to your account. Lastly, you can definitely expect that payouts are almost instant. Terracoin gambling is definitely a good way to enjoy your Terracoins while increasing your chances of earning more. This cryptocurrency made the transaction faster, easier, and even better than Bitcoins. Therefore, gambling with TRCs certainly has a good potential to burgeon.